Latest hot news in Bollywood is that eminent filmmaker Karan Johar has become father to twins - a boy and a girl - through surrogacy. Karan Introduced the children as Roohi and Yash and said "two most wonderful additions to my life and lifelines". The children were born last month in Mumbai's Masrani Hospital where Shah Rukh Khan's third child AbRam was delivered also by a surrogate mother. Karan Johar said "This was an emotional yet a well thought out decision which I have taken after considering all the responsibilities and duties that come with being a parent. I have submitted to the fact that my children are my world and priority." 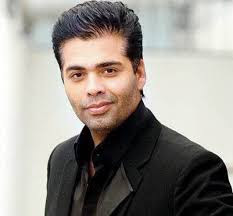 Thanking the mother, Mr Karan Johar has said he is "eternally grateful to the surrogate who has fulfilled my lifelong dream". 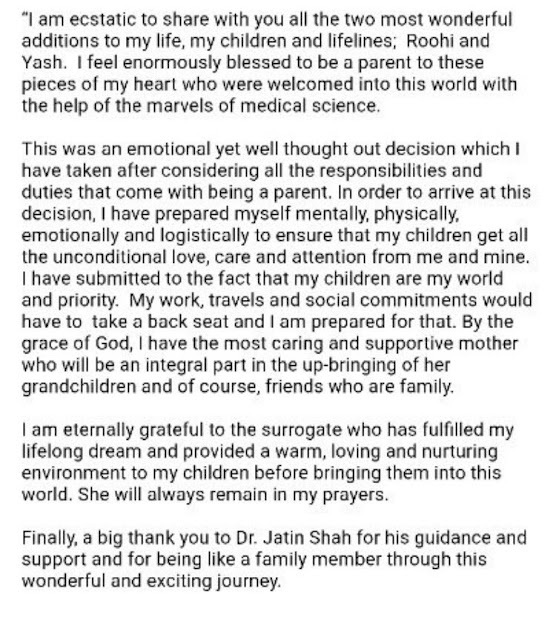 Karan also thanked the doctor "A big thank you to Dr Jatin Shah for his support and guidance, and for being a family member through this wonderful and exciting journey."